Lunasol Duo De Chocolat Eyes Eyeshadow Palettes are new, limited edition eyeshadow duo that launched with the Lunasol Fall 2015 Collection in Japan late last August. I think Lunasol’s Fall 2015 Collection was one of my favorite collections visually and I couldn’t wait to get my hands on some of the palettes and lipglosses they launched because they were such warm, sultry shades of orange and brown. 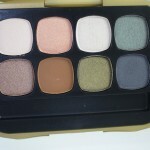 Let’s take a look at the Lunasol Duo De Chocolat Eyes Eyeshadow Palette! 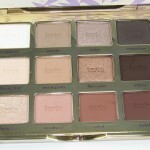 Lunasol Duo De Chocolat Eyes is probably one of my worst purchases from this beloved brand. Lunasol is one Kanebo’s more higher end brands and with that prestigious reputation comes a very high price tag in my humblest opinion. The Lunasol Duo De Chocolat Eyes are 3,500 Yen per each duo or $26 USD ouch! On the upside these are fairly larger eyeshadows weighting in at a total of 0.10 oz total but still $26 for an eyeshadow duo particularly one with subpar quality kinda makes me wince in pain. But I digress because I will contradict myself slightly and say these duos were extremely beautiful and the promotional images that went along with them showing sultry brown eyes totally made me want them. I also felt like $26 wouldn’t be too bad a price to pay if I ended up loving the formula which is typically the norm for Lunasol as they have an incredibly textured eyeshadow and their palettes never fail to disappoint. The duo comes housed in a small brown box with an elastic ribbon that holds it closed. Inside is a small mirror, the two eyeshadows, and a dual ended sponge applicator for application. Apparently the duos are supposed to smell like chocolate but I don’t smell anything at all. The entire presentation of the duo looks like a little gift box from Godiva! It’s very elegant, sophisticated, and dare I say quite cute! It does deserve to be mentioned that the sponge applicators that Lunasol includes with their palettes are very, very well made and they really are all you need to apply the eyeshadows in this duo as one end is a traditional eyeshadow sponge where as the other end is a pointed liner sponge applicator. I purchased the Chocolat Orange shade selection which paired up a deep bark brown with a lighter shade of beige orange. I love the contrast of these two shades as it reminds me of Fall foliage! Honestly, the brown shade isn’t so much an eyeshadow but more an eyeliner shade and this is actually how it is meant to be used as you apply the orange all over lids and line with the darker chocolate brown. The darker brown does have the consistency of a liner cake with more of a dense formula with a matte finish where as the orange-y beige has a soft, silky consistency with a hint of golden shimmer. Unfortunately, both shades lack pigmentation. 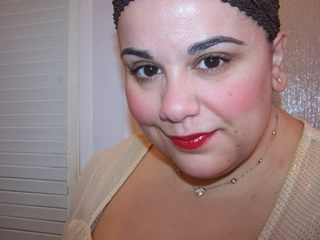 The orange shade looks very frosty and it sticks to my lids in a patchy finish with a sheerer color pay off where as the dark brown needs to be built or even used wet for the best intensity. I really wanted to love this duo! Visually both shades look gorgeous! It’s just that the quality isn’t really there. If you were considering the Lunasol Duo De Chocolat Eyes, I’d say skip ’em! The quality just isn’t here. But if you can’t resist these are available for purchase at gooddealer.com. Waaay to expensive for a duo,but they do make your eyes look pretty. I have just read a post of you talking about where to buy korean and japanes skin care products…so could you help me with my enquiry? !…i used to buy from Yesstyle…after a while i knew that they sell double price…i searched about another website and found (koreadepart) it is cheap but dont know …it is very cheap that i am not sure….do they really sell original products or not?! Do you have any idea?! Are they just selling with the original price?! I’m not sure Lily, in my post I recommended the places I shop from and I rarely stray from those shops. I’ve never purchased from koreadepart so I don’t know if they sell original products, I’ve never purchased from them. Sorry! Hi Lily, different stores price things differently. I can’t confirm if they are selling original products just by looking at the price. Some stores sell products that are old or expired and they sell them cheaper, such as Rose Rose Shop on Ebay. I’m not really sure about this store having never shopped from them. I’m sorry! I wish I had some advice or experience with the store but just by prices alone I can’t say if they are any good. Ah…I see Isabella…i didnt mean by looking at the price to tell if they are original…i just meant ..did it happen that you bought in such price….but it is ok….thank you anyway…people usually would not even reply……..
no problem! Sorry I don’t have info about that particular shop!